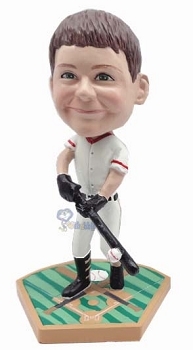 A baseball batter custom bobblehead doll on the new style custom baseball base. A sure sports pleaser. Select the change colors on the order form to make this doll your favorite team colors.. We will even include the name and number on back if you do.